Do you have a friend who is there for you 24/7/365, sorry that's not really good enough ! If your friend truly had your back he/she would be there for 24.0000006/7/365.2421891, Also George Washington was born February 22, 1732 atleast what that we are told. However his family bible says he was born Feb 11,1731/2 which is it. Don't even ask about 1582, In Russia 1582, looked pretty normal, but in the British empire something pretty strange happened, in September of that year the 2nd was followed by the 14th, were just 11 days just deleted ? Where did they go ? What happened then ? It's time to question time and how the Earth moves reconciling these things have led to pretty strange things. We all love time lapse video of stars moving around the sky but really we are the ones who are moving tumbling through the Universe in a giant rock vehicle called Earth, wind shield called the sky. 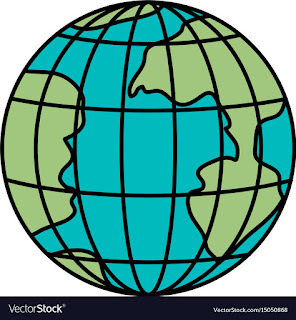 As viewed from the North Pole we move counter clockwise the west chases the east. We don't just spin, we revolve around the Sun on a plane tilted 23.4 degrees in relative to our spin, At this point you can understand that the rising and setting of Earth is only the part of Earth facing the Sun. For closely talking about these points lets take meridians, your meridian is align to the point you are on Earth straight towards the north and the south pole , its a line of longitude posed to the horizontal lines of Earth that we call latitudes, when your Sun is at the top, that is the noon, a cool thing happens that is your shadow casts towards the pole, and yor are on the SUB SOLAR POINT. 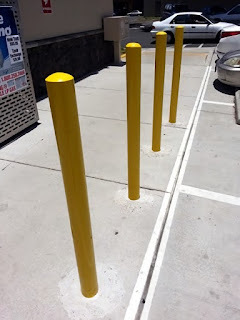 Sub solar point is the point on Earth where the Earth is directly under the Sun, its always somewhere, you can check it on the internet or in the links given at the end of the post. On the sub solar point shadows cast exactly below you, hence we can say that shadows dissapear here. You may be not in a place where sun would appear directly overhead but once every rotation the sub solar point falls anywhere in your meridian, making it noon (for you), The technical name for this noon for you is local Apparent Solar Noon. The clock on your wrist and on your phone tell you your local apparent solar time because long ago we realised that every meridian had its own time, hence there would be much difference in your own clock and a person who is a few kilometers away from you having its own time and later this trick was standardised into time zones that we know them today. 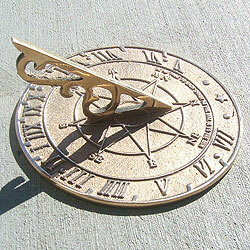 But that's not all we did not like about shadow based sun dial clock. To exolore deeper we have to ask ourselves What's a Day ? Obviously it's the time taken by the earth to turn around once. Right ! But everything in Space is moving according to some other thing. We can never assume the time difference from the window shield of a fast moving car because movements of our earth are way larger in comparison to our movements inside the earth. A meridian trips around the earth every 23.9 hours. This is called SIDE REAL DAY. Sidereal day means pertaining the stars. Even though sidereal days seem pretty clear it is not what our clocks and modern day calendars are based upon because there is a nearer star which does have an bigger effect upon our lives, The Sun. Looking from the North Pole earth not only moves around itself but counter clockwise around the Sun. 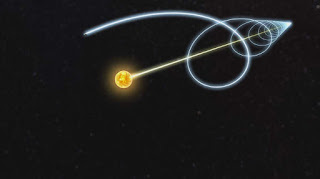 After a sidereal day the earth would have moved a bit further in its orbit around the Sun, so some more rotation is required for the same meridian to point back to sun again. This longer definition of Day is which modern day clocks and calendars are based upon. It is called the Solar Day. But heres the thing the amount of extra rotation required for earth to complete a Solar Day changes from day to day. Our clocks are based upon the average amount of time it takes, so through out the year they follow forward and backward the Sun. For instance if your clock would show the exact Solar day or time, then our observation say daily at noon (12pm) of Sun's postion would be align to us but practically what would you see is that yout clock would sometimes appear to be slower and sometimes faster in respect to the position of Sun at noon. This problem was known since ancient times, even of its cause wasn't. Hence, the Equation of Time was constructed and with it our clocks were constructed too, but on comparing the equation we still were mismatched with solar day and eventually what we did was give up ! We proritised our invented clocks more than the actual solar day. 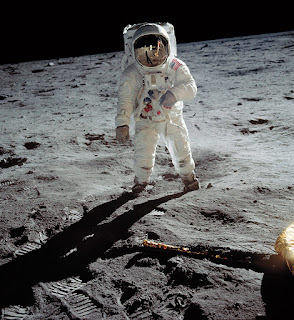 This transition was a big one, Humanity considering real time, the time they invented rather than the natural time. It was special like its the first time we realised that we are stronger than our parents. What causes this disagreement and error ? Looks like all the errors humanity had to face with time and calendars revolved around the earth's revolution. Suppose the earth would revolve round our sun given that the equator always faces the sun with same speed, then the time required for the extra rotation for a solar day would always be same, but those two things aren't the case, firstly the speed of earth is not constant because earth's orbit around the sun is slightly ellipitical, so its speed varies throughout the year, when its moving faster and closer to the sun, the extra time for the rotation is longer than when it's rather away from the sun. 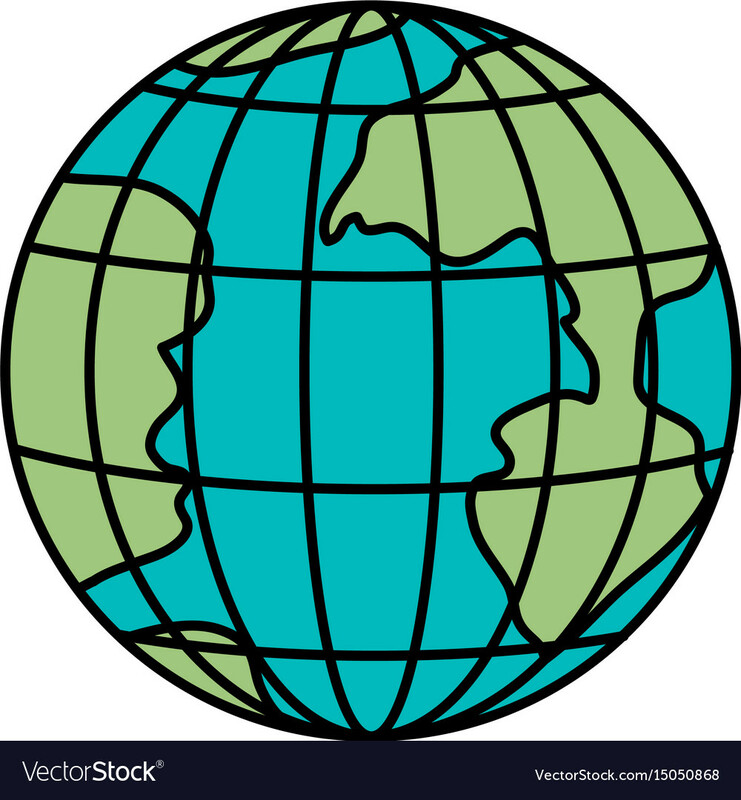 Moreover as the earth is tilted the Sub Solar Point around the earth is not the equator rather northeast and levelling out and then southeast before levelling out and then northeast again. That is why northern hemisphere receives shorter day lights on Decembers. The earth's tilt not only decides how long a day is but it also decides how long a year is, and this is what causes seasons. The side tilted towards the sun faces the same amount of solar radiation in less space than it's other half, so there's more heat energy spread per area, this causes what we call summer in one and winter on the other half. The amount of time from one of this seasonal orientation around the sun to its reoccurence again to the same point is known as Solar Year or a Tropical Year. It's a very useful way to define a year since its based on the very orientations that cause them but the problem is this the number of solar days that occur within a solar year is not a whole number, its almost a 365 days but after that many solar days more quarter of a day happens before we get a solar year starts again. If your calendar has 365 days in a year overtime those days would drift from seasons they used to occur, this extra quarter of a day adds to make a full day difference after four years. Hence a leap day was added to february within every four years. Adding a full day after every four years is what a Julian Calendar does, introduced in 46 B.C. But was this the solution ? Not really. 365.25 is not the exact period for a solar year, to be specific it is somehow shorter 365.242181, so adding a leap day may be a solution but only for a short time (compared to scale of human civilisation), as it won't differ when we calculate them for decades and even a century but after 2 to 3 centuries we will encounter errors. By 1582, the Julian Calendar was 10 days behind the seasonal timings, well that's not bad, just a 10 day difference for more than a millenium and a half, but the Catholic Church cared, because they wanted seasons to occur actually on the same dates as it did centuries ago. So, for clearance the leap day was not altered rather a calculation was made and its results fed that 3 leap days would be removed every 400 years. 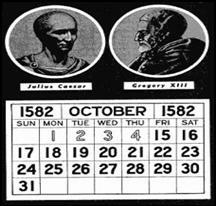 On October 4th, 1582, The Pope Gregori the XIIIth introduced this calendar, it took its name The Gregorian Calendar , he removed all the errors from the previous Julian calendar and announced on 4th October, that tomorrow would be October the 15th, October 5th to 15th never happened in 1582 in countries that listened to the Pope. The rest of the world took centuries to hub on board, England and its colonies accepted the Gregorian calendar centuries later, America being one of the British colonies accepted the calendar on September 1752, this is why George Washington had two birth dates one according to the Julian calendar and one for the modern Gregorian calendar. 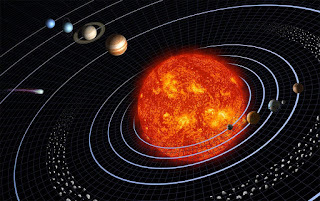 But we know for sure that continously all the planets, moon and the sun along with all the liquids inside Earth are pushing and altering Earth's rotation and revolution slowly but surely, so what could be the next solution for time and calendars ? Enough of it all let's sit back and enjoy Earth's movements because we live on a trail on the scale of movements outside Earth. 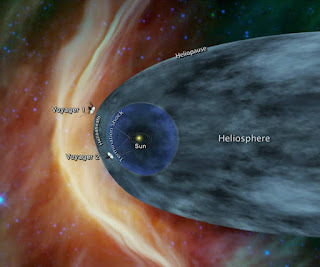 The Earth along with Sun are revoluting around a system in constellation Virgo, which is itself revolving around milky way, and our galaxy is in revolution with another system. Speeds of each system are damn quick in comparison to human life scale, so its needless to think but a thing to admire that nothing is constant ! If you like my content then never forget to subscribe my blog. Never be shy to throw your opinions about any post or blog only in the comment section. How earth moves ? how earth's rotation and revolution determine our time and calendars julian calendar vs gregorian calendar solar day and solar year what are sub solar points.